Breakfast- it sets us up for the day, but all too often we rush it like it’s not important. 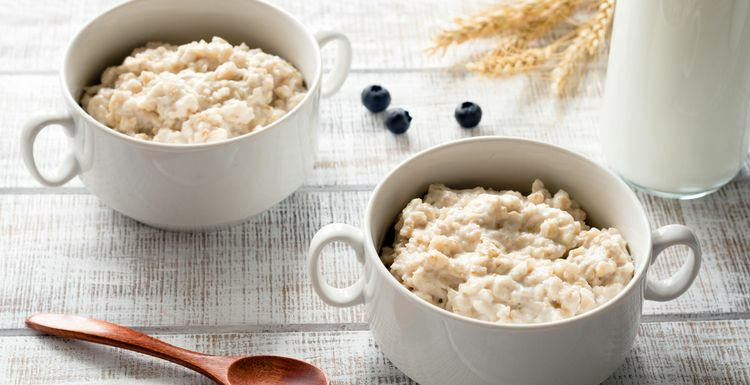 Here’s a tasty and very different way to cook porridge, with a bit of a kick and an oriental twist. Add the rolled oats to the water in a heavy bottomed saucepan and bring to the boil. When all the liquid is absorbed stir in the cheddar cheese along with a pinch of salt and black pepper. In another non-stick frying pan heat half of the coconut oil before adding the vegetables and cooking for 2-3 minutes until they are soft. Spoon the veg over the cooked oats and reduce the heat. Add the rest of the coconut oil and cook the egg in the oil until the white is firm and the yolk is still runny. Serve the egg on top of the oats. Top with the za'atar and for extra texture add some walnuts and extra spring onions. I had to look up za'atar, apparently it is related to oregano. Am I brave enough to try this? Perhaps at the weekend! Really? I have never heard of this before but I suppose it's the same as putting salt on your porridge (which again doesn't appeal!) I would love to hear what people think of it.